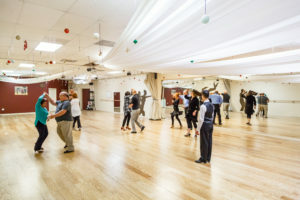 Destiny Dance hosts a weekly Singles Dance Class on Fridays at 7:30pm! Come out and bring your friends to this exciting night of dance and fun. The evening will feature “mingle” time, a half hour dance lesson, and plenty of time to practice with friends new and old. Check out our schedule below to see when our next Salsa Singles class starts and click on the class to get signed up! We’ll see you there! Call us at (303) 738-5542 for info and registration questions or follow the class link below!